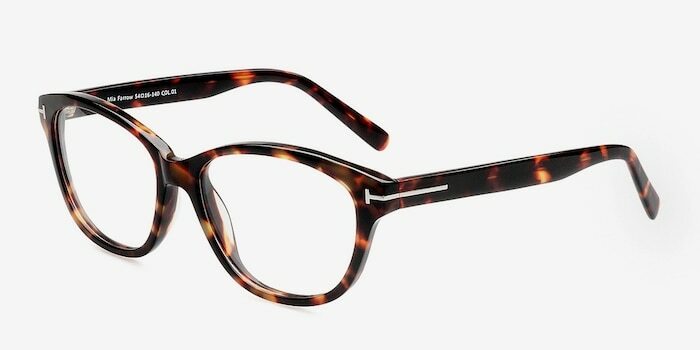 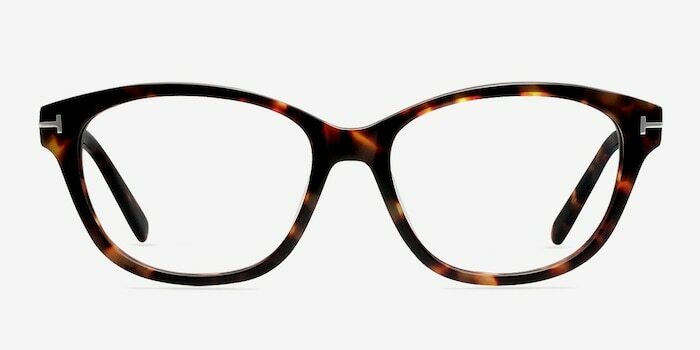 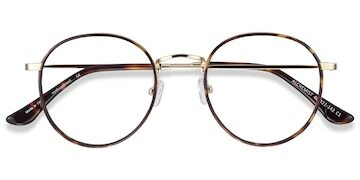 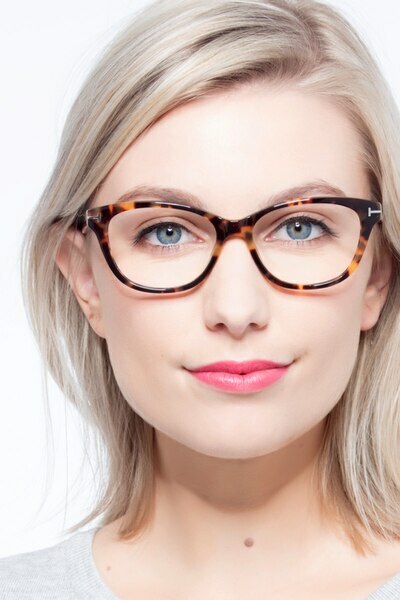 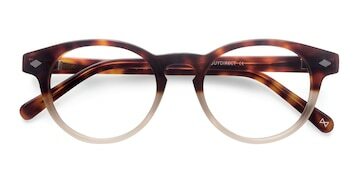 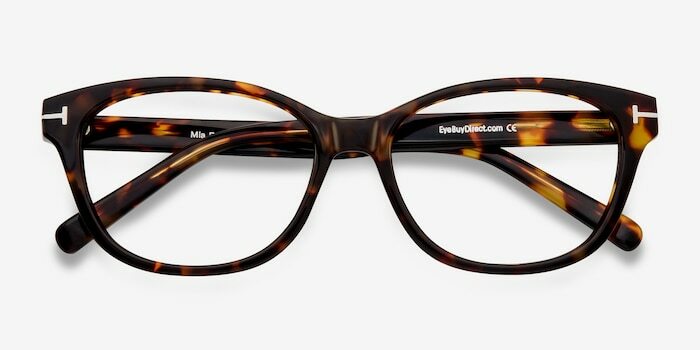 These tortoise eyeglasses are stylishly alluring. 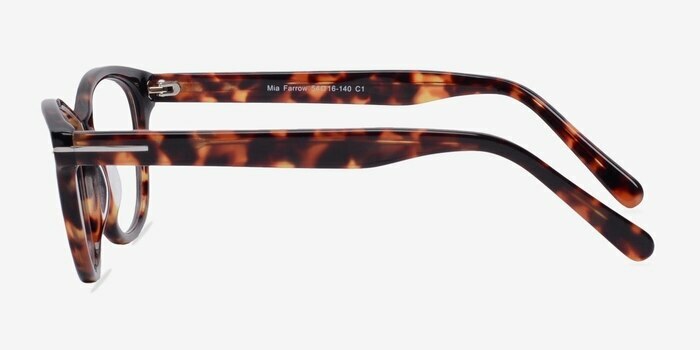 This stunning frame has a fiery tortoiseshell finish with slightly winged wayfarer shaped lenses. 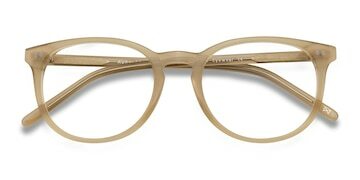 The temples are modest and accented with a wrap around hinge detail, making this look tasteful and elegant.